The founder of Africa’s largest disaster relief organisation, a motor industry icon and a respected teacher and principal, are honoured by the Council of the University of Johannesburg (UJ), with the Ellen Kuzwayo Award, for their outstanding contribution in the higher education sector on Friday, 29 November 2013. The Ellen Kuzwayo Council Award recognises outstanding contributions beyond the confines of teaching and research by individuals over an extended period of time, to promote the well-being of the higher education sector, as well as the well-being of society in respect of matters in which the University has a particular interest. Doctor Imtiaz Sooliman is a South African medical doctor who founded the Gift of The Givers Foundation in August 1992. The Foundation is a private, secular, humanitarian organisation, which to date has built an impressive profile of unreserved support for indigent, traumatised and vulnerable communities both nationally and internationally, transcending religious and cultural borders. Through Dr Sooliman’s leadership, the Foundation has grown to become widely recognised for its resolute action in alleviating the plight of disaffected and disempowered communities, by remaining rooted in the spirit and values of civic agency and human dignity. Such values are in keeping with the University’s mission and indeed, the nature and spirit of the Ellen Khuzwayo Award. As his CV more than adequately attests, Dr. Sooliman has established an iconic brand of collaborative social responsiveness in order to empower and enable some of the vulnerable communities worldwide, whether affected by natural disaster, socio-political injustice or through symbolic violence. Dr Sooliman’s civic activism in developing the Foundation as a neutral, operational NGO with a global outlook that focuses on providing humanitarian aid to communities in need and his ground-breaking work on a food supplement that is used in more than 230 health care facilities across sub-Saharan Africa are admirable and richly deserving of the University’s recognition. Mr Brand Pretorius is one of the best-known and most informed people in the South African automotive industry. This industry is one of South Africa’s most important sectors, with many major multinationals using South Africa to source components and assemble vehicles for both the local and global markets. Mr Pretorius retired as CEO of the McCarthy Motor Group on 1 March 2011. Stretching back 38 years, his career is marked by a life-time contribution of excellence in corporate business leadership. His legendary ability to motivate and inspire; his positive influence on people’s lives; and his thought leadership in the discipline of business management and the broader field of leadership has resulted in formal acknowledgment by several stakeholder groups. His leadership philosophy and experiences are outlined in his recently published book, In the Driving Seat: Lessons in Leadership. Mr Pretorius maintains a strong affinity towards the University of Johannesburg as he served as a member of the Board of Trustees from 1992 to 1995. READ, a corporate social investment project, initiated and led by Mr Pretorius since 1998, distributes textbooks to disadvantaged, remote primary schools. Today Rally to Read is a fully integrated national programme aimed at improving the language, literacy and communication skills of primary school children at far-flung, destitute schools. About 150 schools, 1100 teachers and 40 000 learners benefit annually from this programme, which has won the prestigious Mail & Guardian Corporate Social Investment Award. Rally to Read was one of the most rewarding components of Mr Pretorius’s career at McCarthy and is an integral part of his mission in life. Mr Pretorius is an excellent role model befitting an Ellen Kuzwayo Council Award. He personifies an organisational leader whose legacy enlightens the business of manufacturing and marketing communities and in society at large. Ms Marietta Westerberg is a respected teacher and the Principal at the UJ Metropolitan Academy, a school associated with the University of Johannesburg. Ms Westerberg epitomises the values in the Faculty of Education’s conceptual framework for teaching and learning. She is a caring, accountable and critically reflective educator who knows how to maximise learning opportunities for children coming from disadvantaged backgrounds. As a principal, she is loved and respected by her learners. Ms Westerberg has been involved in the UJ Metropolitan Academy since 1993, first as Head of Department, then as Deputy-Principal and, since 2009, as Principal. Her involvement in the school has been marked by commitment and dedication, not only to advance the well-being of learners and teachers in the school, but also in her collaboration with UJ’s Faculty of Education. Under Ms Westerberg’s stewardship, the school has been flourishing. The school’s matric results are consistently excellent. In 2012, the school obtained a 100% pass rate and an 84.6% university exemption. 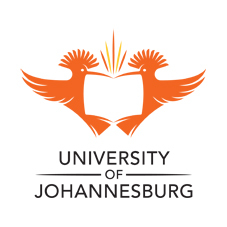 The school is annually awarded as one of the top schools, as the school’s ex-pupils are among UJ’s top first-year students. Ms Westerberg has promoted the well-being of the UJ’s Faculty of Education and society beyond the immediate confines of teaching and research over an extended period of time in a manner that finds expression in the vision, mission, core values and strategic goals of the University. The Ellen Kuzwayo Council Award is in the form of a specially minted medallion and an accompanying protocol.